The overall outcome has been a game of musical chairs in governance, sometimes aggravated by ministerial whim or changes in the country’s government after elections. 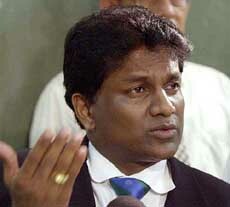 Changes in cricketing board, of course, mean changes in Selection Committee and its policies. It is therefore a marvel that the cricket team has been competitive in the field during the years 1996–2005, especially when playing at home and since 2006, even abroad. Read the rest of this entry ? 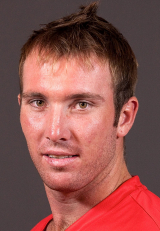 National men’s team captain Brendan Taylor was named the CBZ Cricketer of the year at the annual CBZ Bank Zimbabwe Cricket Awards 2011 on Monday night. He scooped another top accolade, the Croco Motors Batsman of the year, while Keegan Meth was named the South African Airways Bowler of the year. Brendan Taylor played three Test matches in the 2010/11 season, scoring 358 runs at an average of 71.6 runs with his highest score being 117 in the Test match against New Zealand at Queens Sports Club, making that his second century for the season. His highest score in ODIs was an unbeaten 145 against South Africa in 2010. From the 27 ODI matches he has played, Taylor scored a total of 1096 runs at an average of 45.66 with four centuries in the process. New kid on the block, Brian Vitori got two awards on the night; he was named the Tour Africa Rookie of the year and the Interfin Bank Most promising cricketer of the year. Vitori made his international cricket debut in August 2011 in Zimbabwe’s return match to Test cricket against Bangladesh in Harare. From just two Test matches has claimed five wickets at an average of 48 runs –with a personal best of four wickets for 66 runs in the match. He took two consecutive five wicket hauls from his debut ODI matches against Bangladesh, as a result Zimbabwe won both matches and ultimately won the series 3-2. Read the rest of this entry ? Predictably Australian cricket writers have pulled out their bayonets as well as machetes and are piercing and hacking their cricket team. See the items referred to belwow. 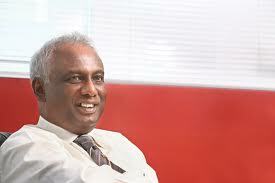 That said, I must say that the slash and burn has not extended to conspiracy theories and muckraking of the sort that feature when the Sri Lankan side does poorly … or even when it loses a final after doing well to get there! Again, Michael Clarke’s summary criticism of slef and team was as on the spot and not marked by bromide and veneer. It reveals sense and sensibility, as well as fortitude and determination to fight back. Web Editor. * “Horrible’: Australia bowled out for 47,” by Greg Baum, Sydney Morning Herald, 12 Nov. 2011. 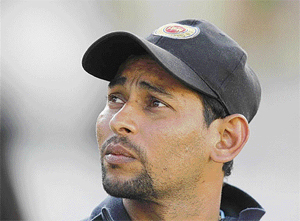 Australian Captain as Selector has a poisoned chalice? STEVE Waugh’s autobiography contains a memorable cameo of Simon Katich at a fitness session with NSW in the pre-season of 2002-3, when players were set a rock-climbing exercise. Three-quarters of the way up the vertical face, Katich’s body seized. But rather than admit defeat, he hung there for 40 minutes “unable to progress but steadfastly refusing to back down”. Ironically, Waugh thought that such tenacity was why Katich would one day make a fine Australian captain. It didn’t work out that way. In clinging to the slippery rockface of Australian cricket now, Katich is making life awkward for the captaincy’s latest office-holder. The rancour is doing something else too: it is pointing out the dubious advisability of the captain doubling as a selector, as recommended in August by the Argus review. Read the rest of this entry ? THE day after Mohammad Amir pleaded guilty for the first time, a member of his family was approached in a mosque in Lahore. The message was a simple one: tell Amir to watch his step and watch what he says. These threats were referred to obliquely by Justice Cooke in his sentencing at Southwark Crown Court on Thursday, when he talked of Amir’s inability to elaborate on the “pressure” that he was put under to bowl the no-balls at Lord’s, pressure that was one part of the basis of his mitigation plea. “You have referred, in material presented to this court, to threats to yourself and your family, saying that there are significant limits to what you can say in public,” he said. “The reality of those threats and the strength of the underworld influences who control unlawful betting abroad is shown by the supporting evidence in the bundle of documents, including materials from the Anti-Corruption and Security Unit of the ICC.” Read the rest of this entry ? The barren period for Sri Lanka without a Test win continues as the national cricket team has now spent 15 months without tasting success in Test cricket. In that period Sri Lanka has played 13 Test Matches, losing four games and drawing nine matches. Naturally, Sri Lanka’s bowling deficiencies due to the retirement of Muttiah Muralitharan and the absence of Lasith Malinga is seen as the main reason for the disappointing run. True the bowlers have not been penetrative enough, but the four matches that Sri Lanka lost in that period were due to batting collapses that cost the team dearly as on all those instances barring the current one the fate of the series was decided on that batting collapse. Pic by M Kiran for AFP Read the rest of this entry ? ONE: West Indian Test Squad: Trinidadian opening batsman Adrian Barath has recovered from a hamstring injury and has been included in the West Indies Test squad to face India in three Tests starting on November 6th in Delhi. Barath who suffered the injury in the first One Day International of the current Bangladesh tour remained with the squad while Lendl Simmons had replaced him for the Bangladesh Tests. Simmons will return to the Caribbean following the completion of the Bangladesh tour. It is the only change to the 15 ma squad which is currently facing Bangladesh in the second and final Test. The West Indies team will travel from Bangladesh to India on Thursday, November 3rd. West Indies Test Squad: Darren Sammy (Captain), Adrian Barath, Carlton Baugh, Devendra Bishoo, Kraigg Brathwaite, Darren Bravo, Shivnarine Chanderpaul, Fidel Edwards, Kirk Edwards, Keiran Powell, Denesh Ramdin, Ravi Rampaul, Kemar Roach, Marlon Samuels, Shane Shillingford. West Indies play India in the second Test in Kolkata before travelling to Mumbai for the final TestThe Test series will be followed by a five match One Day International Series. The West Indies One Day squad will be announced at a later date. TWO: Brilliant Bravo gets maiden ton as Windies stay on top Read the rest of this entry ? 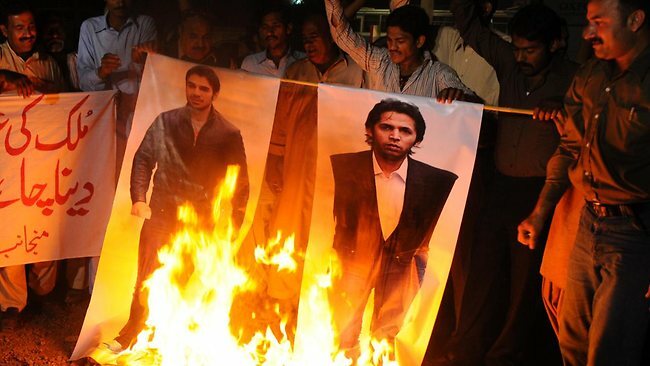 You are currently browsing the Critiquing Cricket blog archives for November, 2011.